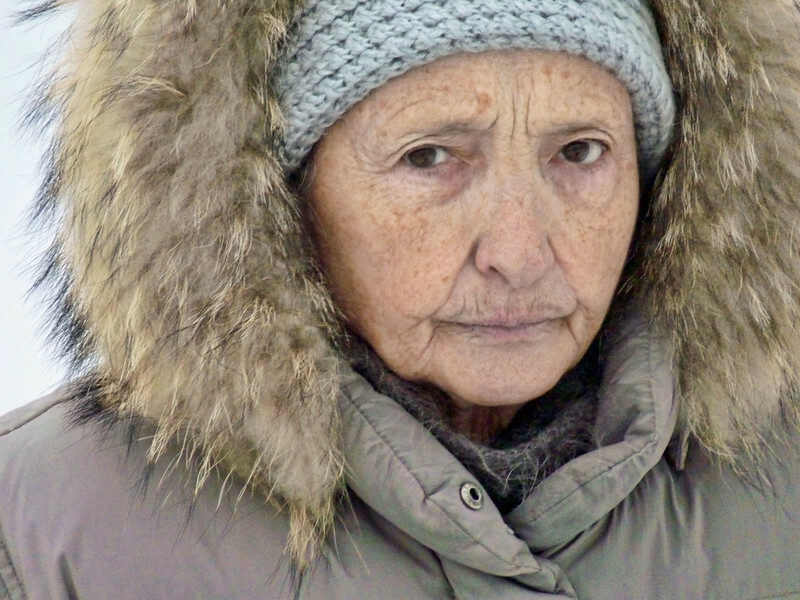 Woman dressed against the cold on the street in Yaroslavl, Russia. What a great face! Wonderful portrait!